Basic Synopsis: Both of these issues are intended to give you an overview of the upcoming titles in the All-New All-Different Marvel, coming out of Secret Wars. My Thoughts: I basically only read these only out of a strange curiosity about what exactly they were going to be pushing in these comics. 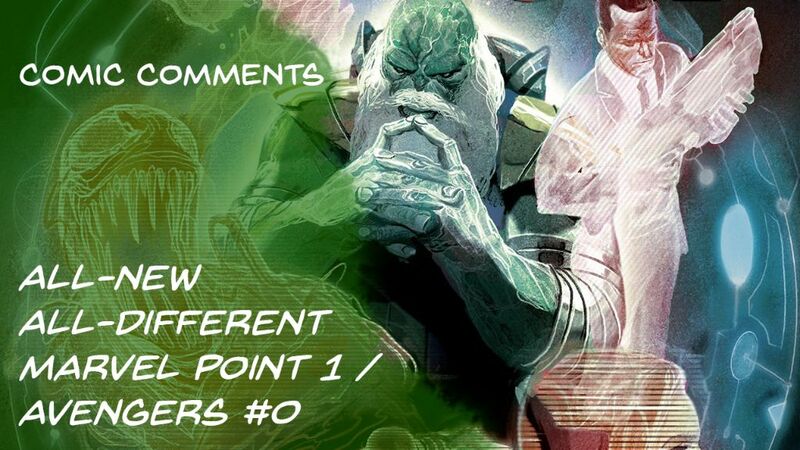 Marvel Point One was not terrible, focusing around the Maestro (A version of the Hulk from an alternative future, where he was a malevolent dictator) who was basically picking his Roster for the comic version of the iPhone game ‘Conquest of Champions’. Conquest of Champions – While this is based on a Mobile game, I do have hopes for this one as it’s concept is simple – The Maestro as ‘The Summoner’ will be able to pull heroes from across time and space to take throw into battle against the heroes of another summoner. This could result in some interesting fights. All-New Inhumans – Seems that this will follow on as Inhumans left off, with New Inhumans being created left and right, and the impact of that.